Sorry that I’m late with posting this by a day. It was a crazy busy weekend. There is so much to share this week that was almost Super Bowl worthy. I must admit that I really wanted to be writing to you today about a new half marathon PR. However, that didn’t happen. I’ll write more on that a little later in this post. Let’s look back at how week 5 of 2015 turned out. I really wanted to get a training run in on Tuesday. However, lack of sleep took out my plans. Part of the blame on this was planning my upcoming trip to Walt Disney World in April. Time got away from me on Monday evening. I made up for it on Wednesday morning with my first sub 33 minute 3 mile training run in a really long time! I felt so tired on Wednesday morning that I almost skipped the run entirely. However, I’m so glad that I tried. This run was fast for me right from the first mile. It took me just over 11 minutes to finish that mile. It took me 22 minutes, 30 seconds to finish the second. It was going to well. One thing that helped me during the first two miles was something I read in the Jeff Galloway book I’ve been reading. Looking over his running mantras, I noticed one that was simply “relax.” He talks in his book how much our bodies are built to run and that when we run, we’re doing something that’s very natural. So, whenever I felt myself feeling like I might end up with some dry heaves, I told myself “Relax…your built to run.” That worked every time! As I said, at the end of mile 2, I was just over a 11 minute per mile pace. So, I just had to see if I could finish any quicker. 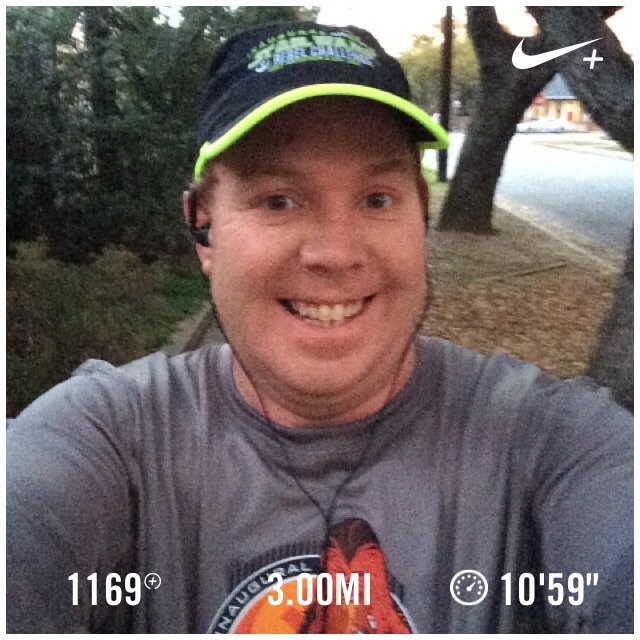 I changed my run walk intervals to 1 minute/ 1 minute and ran the last minute and a half. At the end, it felt AMAZING! I finished 3 miles in less than 33 minutes! I didn’t make it out for a run on Thursday and Friday was a scheduled rest day. So, Saturday, I headed off to the gym to get a workout in before heading off to the Surf City USA Marathon/Half Marathon Expo. It was an amazing workout! After 2 gym workouts where I walked a quarter-mile/ran a quarter-mile on the treadmill and continued the pattern for 2 miles, I upped my game. This time, I walked a quarter-mile, ran a half mile, walked a quarter-mile, ran a half mile, walked a quarter-mile, ran a quarter-mile, and walked a quarter-mile. Yep, I ran a half mile without a break! I had no idea if this would even be possible since I took a couple of weeks away from the gym. However, the first half mile run went really well and I felt great afterwards. So, I went for another half mile! Since I had some time left, I put in another quarter-mile run to round out the 2 miles. So, the bottom picture in the square, you might have noticed a rather random picture of the 4. Well, I’ll talk a little more about this later this week. 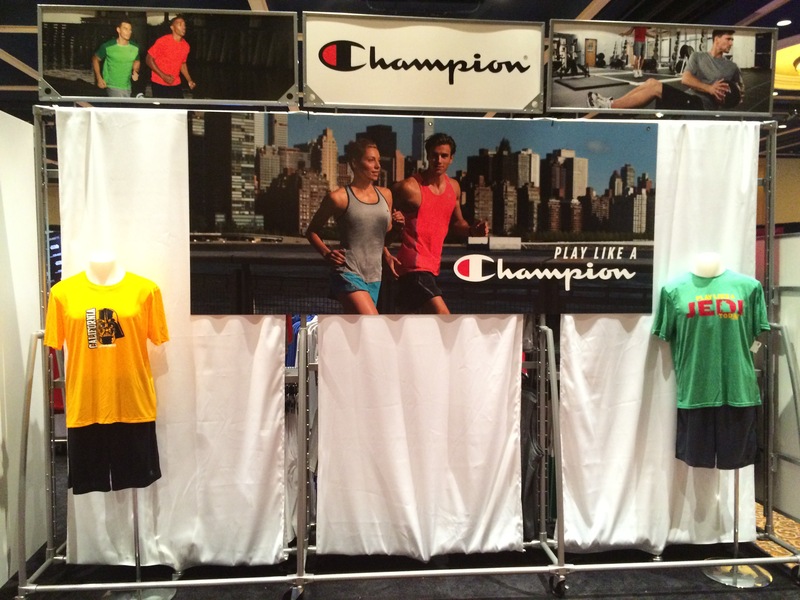 For now, I’m pleased to say that I’ve been chosen to be apart of this program with Champion Athletics. They’ve sent me some running apparel to wear as I get ready for my races. The shorts I wore at the gym were among the new items. I’m pretty stoked to get some free running stuff! The shorts worked out great at the gym! After the gym workout and some lunch, I headed off to Huntington Beach (AKA Surf City USA) for the Surf City USA Marathon/Half Marathon Expo. I love this Expo! It’s held right at the beach! There are lots of fun things to check out and some great photo ops. I’ll post some more about the Expo later in the week. I wish that I had more time to spend at the Expo. Unfortunately, there was so much for me to do on Saturday before getting to bed for the race. So, I headed home early. Sunday was the day of the Surf City USA Half Marathon! As you can see from the picture above, it was a brilliant day to run at the beach! 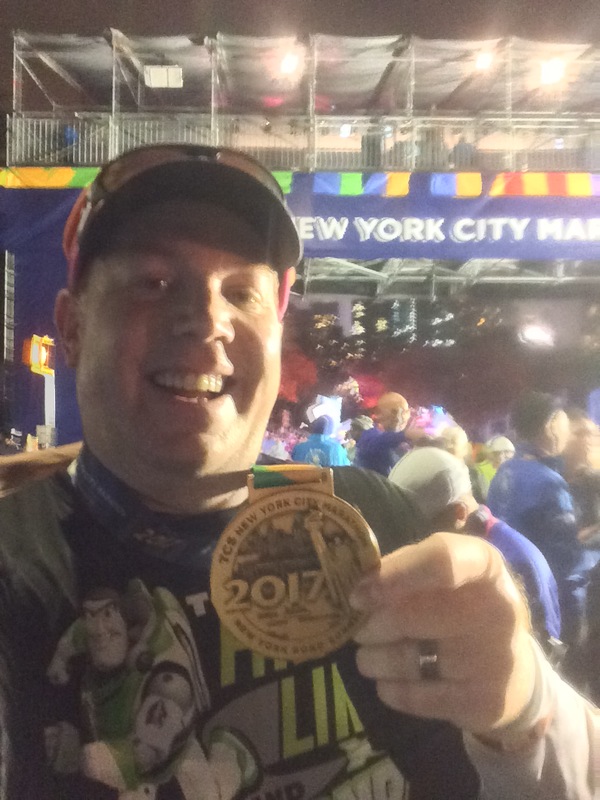 I really hoped to be able to write today about a new half marathon PR. That didn’t happen. I’ll post a full recap of the race later in the week about this race. I didn’t get a new PR, but I did another sub 3 hour half marathon! There’s a lot to be said about my efforts on this day. It was great to be out and racing for a PR again! If I had been carrying my phone with me instead of wearing it in the arm band, I do wonder if it would have turned out differently. After all, after the race, I saw the race updates. At the 9.5 mile update (the last one before the finish), I was only a few seconds off the time I was shooting for according to the projected finish time. If only I knew! My race came off the rails in the 10th mile. It is possible that seeing where I was at for that 9.5 mile check in would have changed something mentally. I actually thought my PR attempt was over by the end of the 9th mile. Even though I didn’t get that half marathon PR, I come away from this race with my head held high. I battled hard on the course and felt like I gave the course everything I had. This is one race I don’t want the finish line photo because I was completely spent at the end of the race. 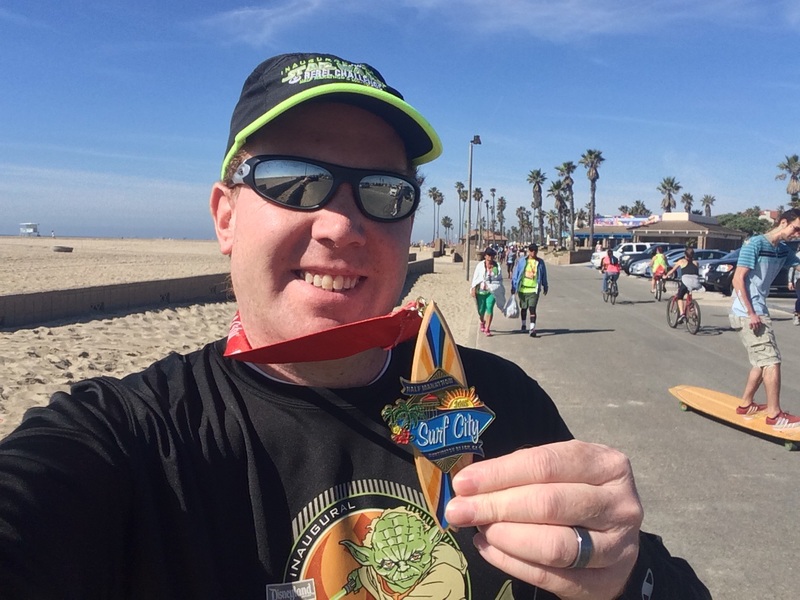 If you ever have the chance to run the Surf City USA Half Marathon, do it! This is a great race. There are over 20,000 runners. The weather has been great the past 2 years and you’re running at the beach. What’s not to like? Do you see the good news? On my weight loss journey, I have officially lost more than 10 lbs. since January 1st! As of February 1st, I’ve lost 10.2 lbs! This Saturday, I’ll do a monthly goal check up and set some new goals for February. 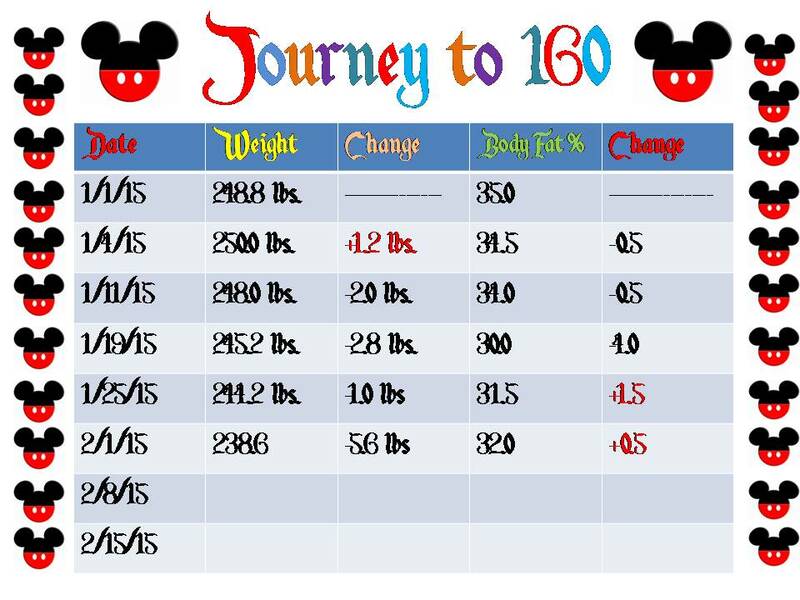 For now, I’m thrilled to have crossed the 10 lb. mark! I’m celebrating by purchasing a CD! 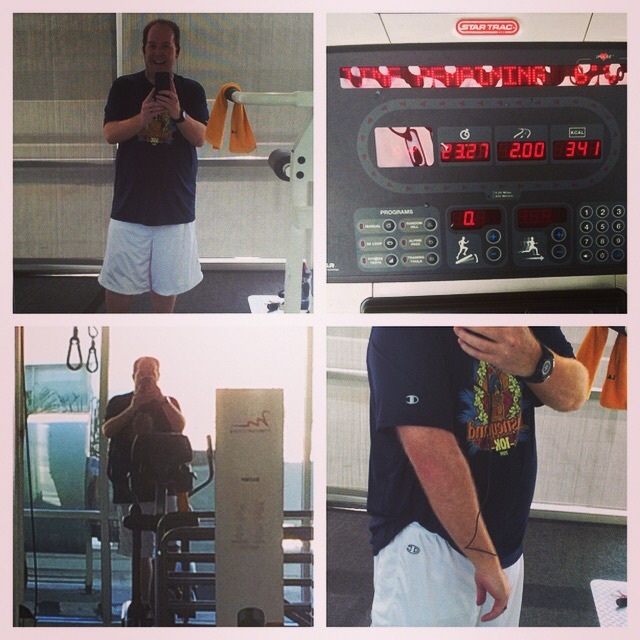 When I cross the 20 lb mark, I’ll be buying Guardians of the Galaxy Blu-Ray. 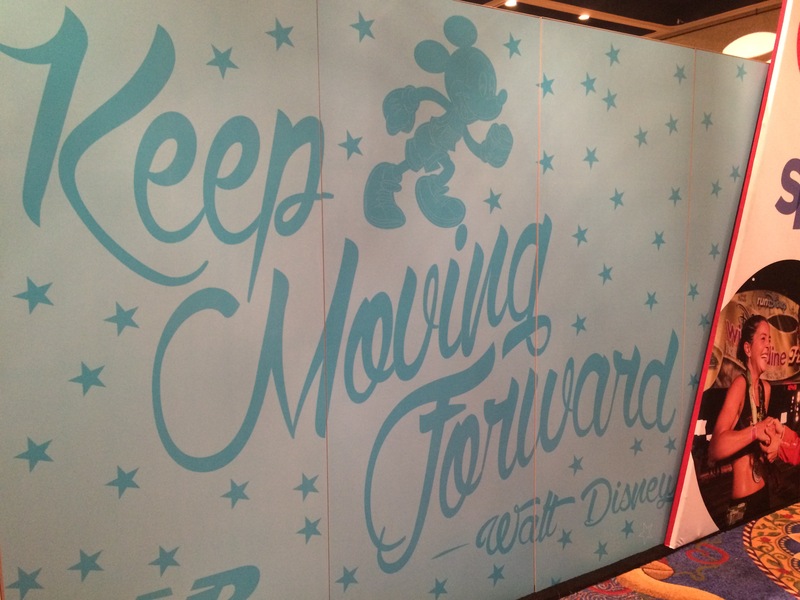 For now, it’s time to Keep Moving Forward! Congrats on the sub 33 minute! Also even more spectacular is your weight loss! Way to go!!! Keep it up. I have hit a wall around 8 pounds, so I have to buckle down. Not planning to carb load too much for my half this weekend, so hopefully it will not set me back too much! Keep it up!!! Good luck this weekend with your run! Push through that wall on the weight loss. Sometimes that weight is rather stubborn. If only it was that stubborn when we put it back on. 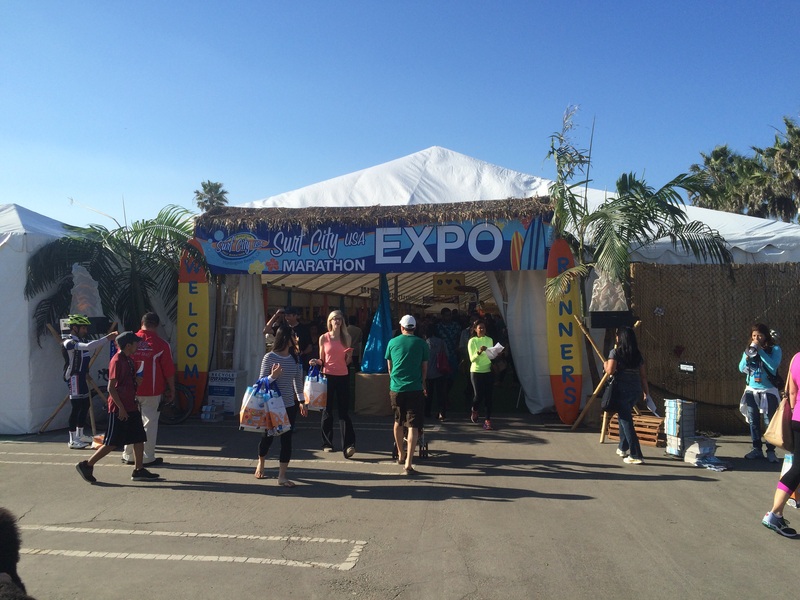 great weekly recap-my boyfriend and I were talking about running Surf city eventually as it would be great to get in a good workout before the super bowl-this year we did 6 miles at the rose bowl and it was mighty warm!